A lone Albion fan who was snapped singing on his own at Accrington Stanley has opened up about his ‘bizarre’ experience. 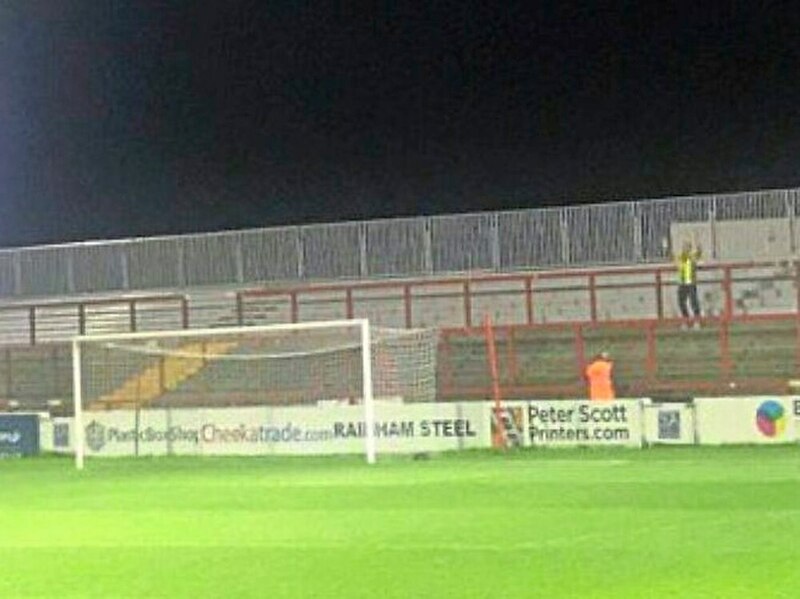 Martin Evans convinced stewards at the Wham Stadium to open up the deserted away end during the game between Albion’s under-21s and Stanley on Tuesday night. The 48-year-old then decided to bellow out several Baggies songs, including The Lord’s My Shepherd, to the bemusement of the 771 other fans at the game and Albion keeper Jonathan Bond. 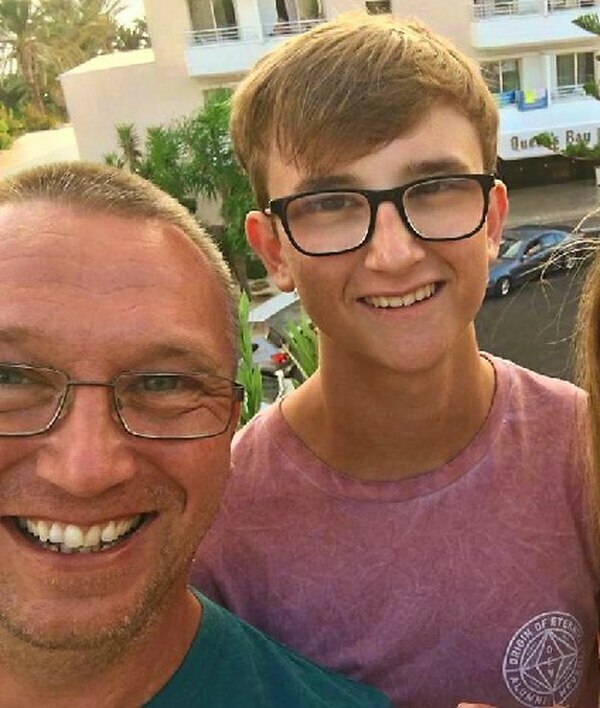 Martin lives in Darwen, near Blackburn, and was at the game with his 17-year-old son Jack and three other friends who don’t support Albion. Although there were 11 other Baggies fans at the game, they had been squeezed into a corner of the home end, and he was unaware of their attendance before heading for the away end. “We turned up and there was nobody in the away end,” Martin told the Express & Star. “We sat down at half-time and I said I’m going over, I’m going to stand in the away end, just so we can say we’ve had somebody over. “My lad said I’m definitely not coming with you. He’s 17, he’s still got all his street cred to worry about, but I haven’t! “I had a chat with the stewards, who were brilliant. They took me round and got me in there. “I sang a couple of Albion songs, a chorus of The Lord’s My Shepherd, and a few shouts of ‘Baggies’. “It was so surreal to stand there with nobody around me, it was bizarre. “As I was getting my coat back on, the steward said do you want us to make it look authentic and make it look like we’re throwing you out? “I said, better not, in case the pictures got back to work! “Afterwards I was told there were a handful of Albion fans in the corner, but I didn’t know that at the time. Originally from Darlaston, Martin travels to Albion’s away games in the north and has been to a few of the home fixtures too this season. He attended the Stanley game with a group of friends because Accrington were offering their two home Checkatrade Trophy games for a cut-price deal. But he’s not a fan of the current format, which sees category one academy sides face up against League One and League Two outfits. Attendances have suffered as a result, and Martin believes it’s a smack in the face for smaller clubs reliant on gate receipts. “The whole idea of any cup competition is that fans see a decent handful of first-team players,” he said. “Obviously, it was our development squad. “I know who Jonathan Leko is, but Accrington fans don’t know him. He’s not a first-team regular. “The attendance was 772, when Macclesfield came there were more. “Albion fans are simply not going to travel to Accrington to watch that game. “And that spoils it for teams like Accrington, who are reliant on cup games to bring decent support in. “Without meaning any disrespect, they’re a small town club who need every penny they can get. “I don’t think this competition in its current format benefits clubs like that. They’ve still got to put floodlights on and staff it. “The ticket deal we used was to encourage more fans to go. They won’t have made much out of that, so it’s a shame. I don’t rate it in its current format.